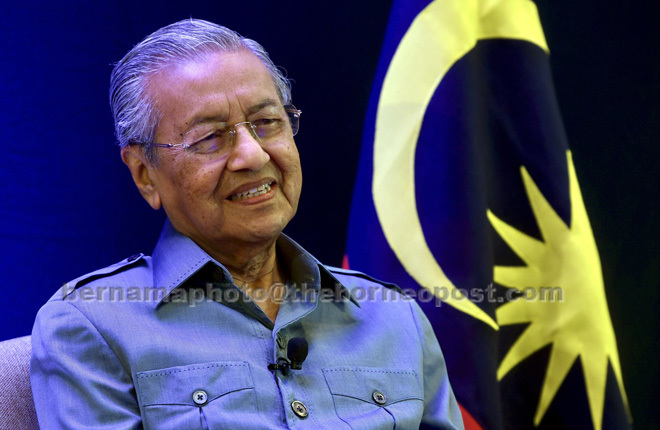 KUALA LUMPUR: The government is hopeful of a substantial reduction in the amount of government debt within the next few months, said Prime Minister Tun Dr Mahathir Mohamad said. He said since taking over as prime minister, his government had cancelled a number of costly projects which contributed to the overall debt reduction. “Trying to reduce debt is a tough job, but we have cancelled a number of costly projects,” he said at the American Malaysian Chamber of Commerce luncheon here today. He said the government’s efforts at improving the financial situation and economy of the country, however, was not being taken positively by foreign investors, leading to a capital outflow. “Sometimes, I feel the market prefers to be told lies on how good we are, rather than the truth,” he added. The prime minister emphasised the government’s business friendly policy and need for closer collaboration between the public and private sectors. “We want to work closely with the private sector, which means, of course, we will be accessible to it, ” he said. Dr Mahathir also said the government is open to ideas and constructive comments from the private sector to help improve the delivery process of the public sector. “I can assure you that when criticised or told we are doing something wrong, we will do our best to correct it,” he added. He said the intention of the government is to facilitate the growth of the private sector, which is the engine of wealth for the country. According to Dr Mahathir, the government by itself can’t create wealth, but if enriched by collecting taxes from a very prosperous community, then the country would be better off. Dr Mahathir said the government is also keen to encourage foreign direct investments for high technology industries to address unemployment issues among graduates. He said Malaysia is a good investment location with skilled manpower to deliver quality products and services. “We can train Malaysians to produce good quality products that are acceptable to the world market. The government is also looking at ways to improve productivity in the country and not focusing solely on raising the income level,” he added. He said high income in itself doesn’t help the people because when you had it and the price of everything went up, the purchasing power remained the same. “For the people to feel the benefits of high income, it is through improvement of productivity, which allows production costs to remain low. This can be achieved through several measures, among others, better training, more efficient management and automation,” Dr Mahathir added. On foreign workers, he said the government is currently studying drawing up a proper policy for them. He said the government, however, encouraged smart and skilled foreigners to come and live in Malaysia and they could also apply for Malaysian citizenship. Dr Mahathir said before this, the policy was not to give citizenship to a foreigner. “Now, if the foreigner comes with certain skills that we require, the person is invited to stay in this country and even become a citizen if he wants to,” he said. On the Multimedia Super Corridor (MSC), he said the government would make an effort at reviving it, since it has deviated from its initial objective. “We created Cyberjaya to concentrate on high technology, electronic and information technology industries there, but now, it has become just another town with the usual housing development,” he added. Dr Mahathir said with the policy on the MSC being reverted to its initial objective, more companies are expected to locate their plants and research laboratories there.